Nice on the outside, great on the inside! The best house in the street! Standing out from the crowd on its sloping plot, the first impressions of this dwelling are of a wonderfully individual and luxurious abode. Incorporating plenty of different textures and strong architectural lines, this welcoming and inviting residence is an eye-catching property. Making the most of its topographical advantage, the dwelling maximises its surrounding views from a watchtower styled upper floor, which brings in abundant natural light, as well as creating a stirring visual imprint for the occupants within. Moving within the gated home, as we head up to the front door, we see the front door, which is constructed from a sturdy and welcoming timber. 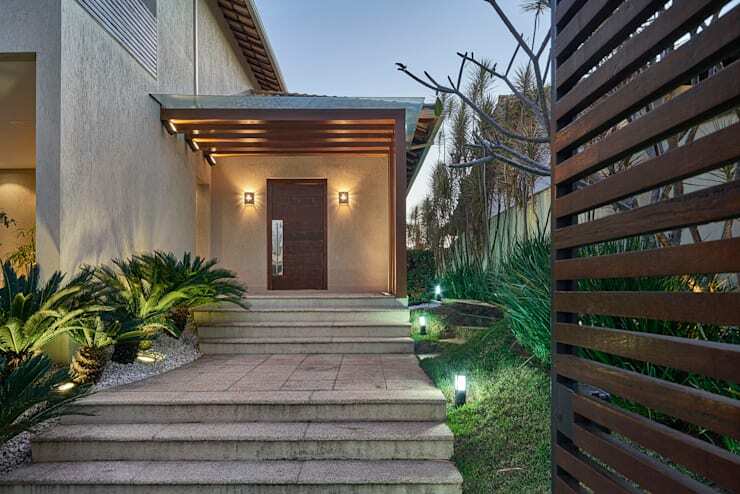 Matching the timber gate that can be seen to the right, this entrance is extremely warm and lavishly appointed. The designers have implemented well-landscaped greenery to contrast the stucco and stone, which adds to the sense of style and hospitality. As we head inside the home we finally get a sense of the interior décor, which was hiding behind the front façade. The most noticeable items within this sumptuous living room are definitely the ultra enticing banana lounges, which are upholstered in an earthy mushroom hue. 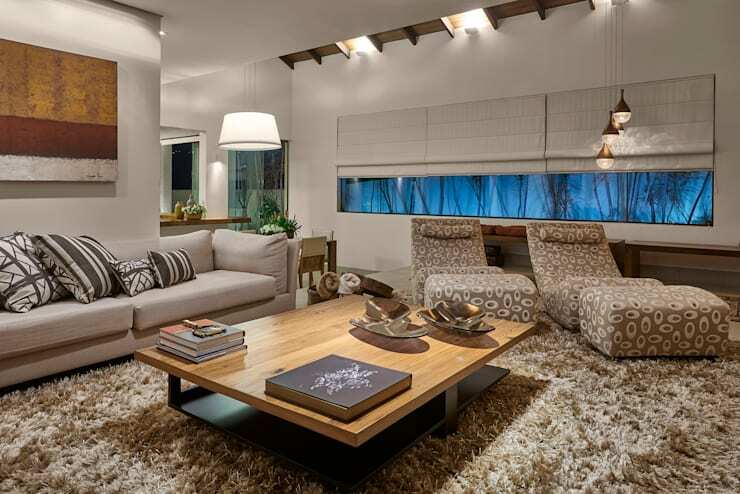 In fact, the entire living area boasts earthy hues, further enhancing its sense of friendliness and warmth. A central timber coffee table works as a statement centrepiece for the living quarters, imparting practicality as well as style. Moving further into the home we take a peek at the main dining space. Large and accommodating, the table sits a comfortable 8 individuals, with potential room for more. 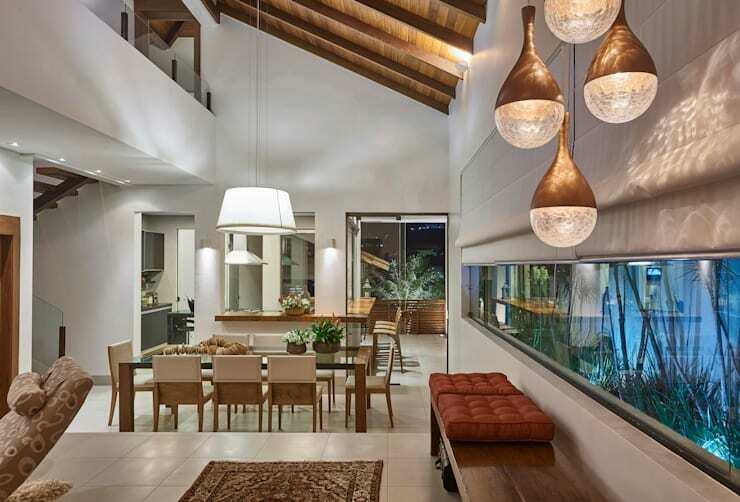 The layout of the house has been laid out and planned to perfection with each area and living zone segmented efficiently, while still retaining an open and airy ambience. Lighting plays a huge part in the success of the interior design, with statement fittings suspended from the ceiling, offering mood and atmosphere within each area and room. This 5-star bathroom boasts all the amenities of luxury spa and more! With a whirlpool tub, surrounded by a gorgeous timber setting, this is the ideal place to take a moment to relax and unwind. 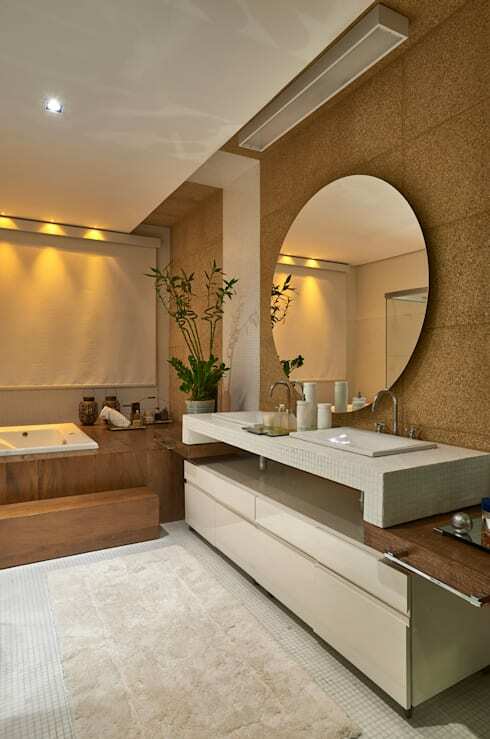 The vanity and use of earthy tones helps cement this as a luxury space, while the shag rug emphasises a sumptuous aesthetic. Down the hallway and into the master suite, we are once again surprised by the height of the ceilings, and the feeling of individuality and personality within this home. Generally with new build houses, ceilings tend to be low, but in this residence that is nowhere to be seen. 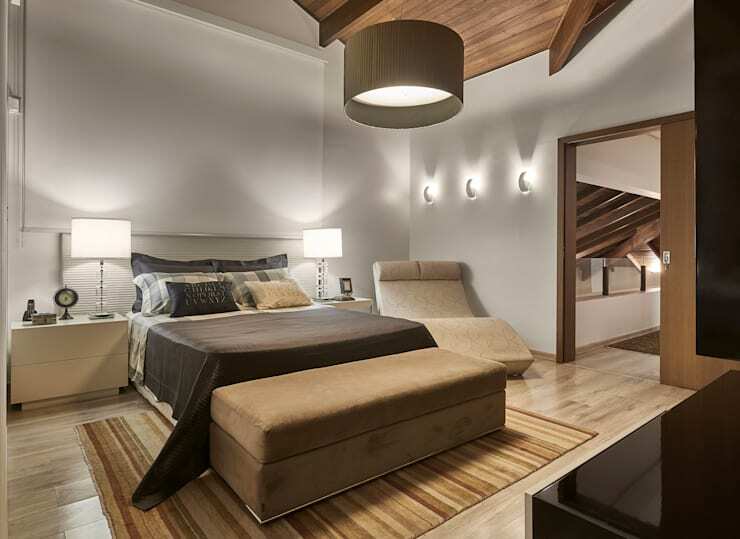 Each space is large, spacious, and comes with high spaces, which evoke feelings of luxury and chalet opulence. For the final peek before ending our tour, we head back downstairs and check out the kitchen and outdoor space. 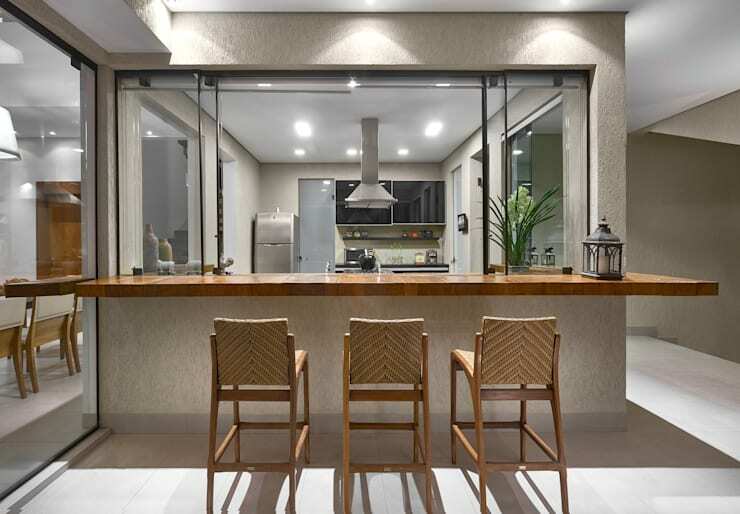 The kitchen is contained within a room that boasts openings, in order to ensure the continuity of an open plan dwelling. Outside, the worktop is continued, with a breakfast bar, which converts to an entertainment space and bar in the evening. 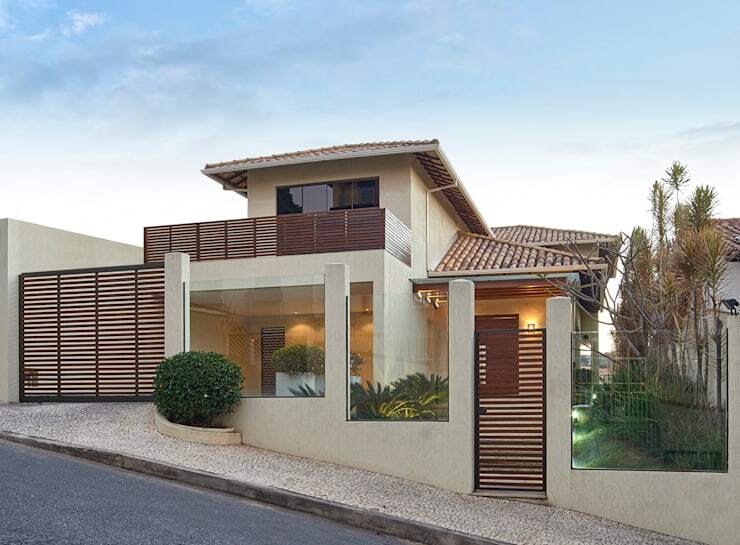 Which part of this beautiful home is your favourite?